Just as there’s a corresponding rise in knockoff products from luxury brands that gain momentum, the medical aesthetics industry is currently experiencing a noticeable uptick in counterfeit injectables. The popularity of treatments such as injectable wrinkle reducers and fillers (which temporarily help smooth the look of moderate to severe wrinkles in your crow’s feet, forehead and frown lines or add instant volume, respectively), have inspired copycats to crop up around the world. However, instead of potentially being lambasted for toting around a cheap bag that undermines the original brand, bogus injectables are far more problematic — they could put your actual health at risk. Even more terrifying, it’s possible to get these injectables thinking you’ve signed up for the real deal when they’re actually a phony version. 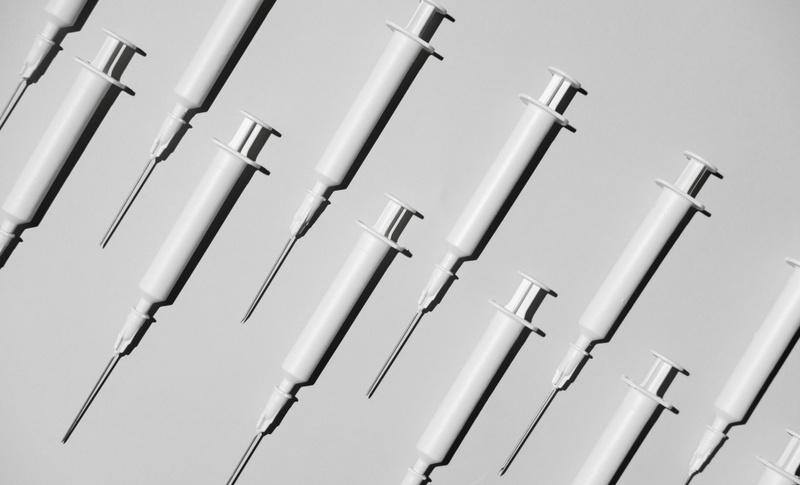 To help you understand more about what counterfeit injectables are, where they come from, and what the risks are, we tapped several industry professionals. They also share how to make sure you never receive them yourself — and what to do next if you accidentally have. What Are Counterfeit Injectables and Where Do They Come From? Because counterfeit injectables are clearly not regulated (they are after all, counterfeit), it’s impossible to get an accurate statistic for how prevalent they are. That said, providers and receivers both agree that it’s becoming an increasing issue. According to some estimates, approximately 10 percent of all drugs are counterfeit, and some use this same number to gauge what percentage of fillers and wrinkle reducers are counterfeit. Interestingly, the dermatologists we spoke to for this story informed us that they consistently get solicited to buy counterfeit injectables. In that sense, it’s just a matter of a solicitation reaching an injector who’s willing to indulge the “cheap” offer. That said, it will reassure you to know that board-certified dermatologists, plastic surgeons, and reputable medspa clinicians are all very aware of shills and their tactics and, like Dr. Yagoda says, it’s very easy to spot a fake (more on how you can spot one yourself, below). It’s the very fact that we don’t know anything about counterfeit injectables that makes them so dangerous. Also, because they’re unregulated, there’s no guarantee for consistency and the risks and side effects are unpredictable. “They can be completely different materials, or similar materials in extremely different concentrations,” explains Dr. Yagoda. “They can also be similar materials manufactured in a way that makes the final product ineffective, dangerous, or even contaminated.” For example, FDA-approved, injectable wrinkle reducers are made with a form of botulinum toxin that is made and purified in a lab. Would you want someone to sell you a form of this toxin that was not tested, and studied? Your best-case scenario is that the counterfeit injectable miraculously delivers the results you wanted, gives you nothing more than a serious bruise, or simply has no effect on you. However, it could be a lot worse. You’d truly be playing a game of Russian roulette with your health and appearance. Dr. Yagoda says that the most common risks and side effects of counterfeit injectables include infection, scarring, deformity, immunological issues, and even death. Regarding that note on “contamination” — the uncleanliness of these products is probably worse than you think: “Just to give you an idea, the U.S. Immigration and Customs Enforcement says that seized counterfeit cosmetics have been found to ‘contain hazardous substances, including cyanide, arsenic mercury, urine, and rat droppings,” says Dr. Idriss. We already told you that it’s easy for professionals to spot a solicitation for fake injectables. Rest assured, it’s also easy for you to avoid them. “The best option a patient has when guaranteeing the validity of the products that they are having injected is to familiarize themselves with the authentic labels and request that all products be taken out of packaging and opened in front of them,” says Dr. Z. Paul Lorenc, a plastic surgeon based out of NYC. Another sign to look for is whether you, as a non-professional, have easy access to the product. Authentic injectables shouldn’t be readily available to you. This may sound like a no-brainer, but Dr. Lorenc told us he’s had clients bring in their own injectables that they purchased online or from a different country. He, like other reputable professionals, will never administer your pre-bought injectables. All that said, your best bet for avoiding counterfeit injectables is to only go to ethical injectors, and to not fall for “too good to be true” deals. If you suspect — or are certain — that you’ve received counterfeit injectables, begin monitoring yourself very closely right away. “If you feel unusual pain, persistent redness, or hard bumps and lumps [where you were injected], return to the practitioner who injected you so that you can be evaluated,” advises Dr. Idriss. “If that person was on the shady side to begin with, then follow up with a board-certified dermatologist or plastic surgeon.” Remember cosmetic injectables are a medical procedure with side effects, be sure to consult your doctor. In some rare cases, the counterfeit filler product may be able to be dissolved via an enzymatic injection by a professional. When this isn’t possible and removal is necessary, open surgery will likely be required. Whatever the case, a personalized treatment plan will be provided after evaluation. As frightening as counterfeit injectables might be, their existence is much more common than you might think, and you should never even entertain them as an option for your treatment. Strictly using FDA-approved and regulated injectables that are administered by an injector that you trust is vital if you want beautiful results.